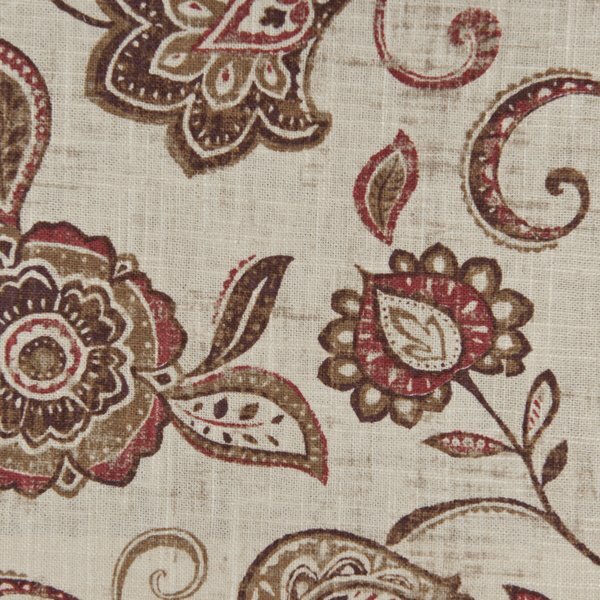 The product photo above is a 8 inch square section of Lily Spice upholstery fabric. Lily - A transitional floral and vine motif with an antique background and soft texture. Composed of viscose and linen Lily also meets 30,000 double rubs of abrasion resistance.